The new 4-cylinder farina range now sported the 1622cc engine first designed in Australia as well the longer wheelbase which increased by 1.1inches. The front and rear track was increased and anti-roll bars added. 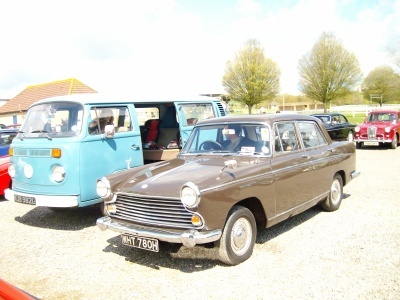 New wider front grille appeared on the Austin and Morris badged cars and the rear fins were lowered. A Borg-Warner type 35 automatic gearbox was now an option and a 1489cc diesel engine was now available on export models and became available in the UK in 1962. 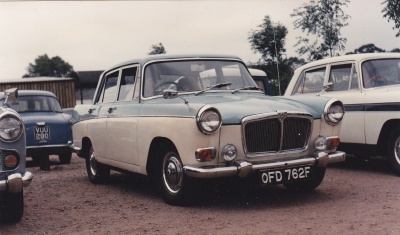 In 1965 Cambridge production moved from Longbridge to Cowley to join the rest of the farinas because demand for the Cambridge did not diminish as expected when Austin launched its replacement the 1800. 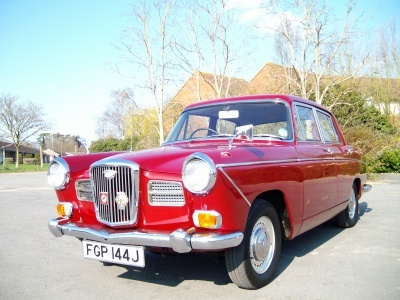 The first of the farinas to go was the MG Magnette IV in 1968 (£1,059 14,320 built at Cowley). Buenos Aires from 1961 to 1966. 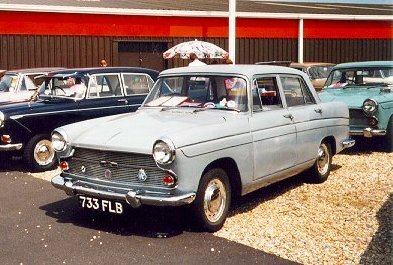 The Riley also went on sale in Spain as the Fordor. Layout: Unit-construction pressed steel body-chassis structure, 4-door, 4-seater saloon with the engine in the front and rear wheel drive. 68bhp at 5,000rpm; 89lbs at 2,500rpm.) 4-speed gearbox with no synchromesh on first gear; optional automatic transmission; live (beam) rear axle with hypoid-bevel final drive. Chassis: Independent front suspension, coil springs and wishbones. Cam-and-lever steering. Rear suspension by half elliptic leaf springs; front and rear anti-roll bars. Front and rear drum brakes. 5.90x14 tyres. Dimensions: Wheelbase 8ft 4.35in; front track 4ft 2.6in; rear track 4ft 3.4in; length 14ft 6.5in; width 5ft 3.5in; height 4ft 11.75in. Unladen weight (approx.) 2,473lbs. Riley & MG Maximum speed 86mph; 0-60 19.5sec; fuel consumption 25mpg. Performance: Maximum speed 81mph; 0-60 in 21.4sec. Fuel consumption 26mpg. Engine: BMC B-series diesel 1489cc engine; 40bhp at 4,000rpm; 64lbs ft at 1,900rpm; maximum speed 66mph; 0-60 39.4sec; fuel consumption 37mpg.